Home » Blog » Could soluble aspirin be a powerful new weapon in fight against brain cancer? Scientists in the United Kingdom say they have found a way to deliver treatment for brain cancer through a membrane directly into the brain, enabling the treatments to attack tumors and leave healthy cells undamaged. If the work can be confirmed, it offers a promising approach to dealing with glioblastoma and other deadly brain cancers by offering treatment a way through the blood-brain barrier, the membrane that surrounds the brain and keeps central nervous system fluids from mixing with blood. The research from the Brain Tumour Research Centre of Excellence at the University of Portsmouth hasn’t yet been published in a peer-reviewed journal, but was presented at a brain tumor conference. Sue Farrington Smith, chief executive of the tumor center, called the findings “a potential game-changer” in brain tumor research. Professors Geoff Pilkington and Richard Hill say they have worked with a biotechnology company called Innovate Pharmaceuticals to develop a fully soluble, reformulated aspirin with two additional ingredients, which they tested on brain cells from adults and children with brain tumors. The aspirin formulation tested by the researchers showed promise in battling glioblastoma. The soluble nature of the aspirin formulation suggests that other drugs could also be formulated to pass through the blood-brain barrier to attack other tumors in the brain. Some aspirins are marketed as soluble, but in fact, leave non-soluble grains and can cause gastric effects, according to the university. And the blood-brain barrier has kept many targeted medications from reaching the brain. The new fully soluble aspirin may change that. The scientists say more research into the drug’s suitability is needed before they can proceed to clinical trials with humans. Aspirin has been deemed useful in combating many diseases, including cardiovascular disease. A government-backed panel of independent physicians recently recommended “aspirin therapy” for adults in their 50s. Glioblastomas are the most common kind of brain tumor in adults. They can grow quickly and death usually follows diagnosis within 24 months, according to the Centers for Disease Control and Prevention. The American Brain Tumor Association describes them as highly malignant and difficult to treat because they involve many different types of cells. But the association notes that the tumors vary from person to person and treatments may be more effective for some than for others. The association said about 10 percent of patients diagnosed with glioblastoma live five years or longer. Glioblastoma has claimed the lives of composer George Gershwin, singer-actress Ethel Merman, baseball player Gary Carter, senator Ted Kennedy and Beau Biden, son of vice president Joe Biden, among others. You can read the statement from the University of Portsmouth here. The Providence Neuroscience Institute consists of a vast network of clinicians treating patients and researching cancer treatments. You can read about the various clinical trial programs at the Providence Cancer Center here. 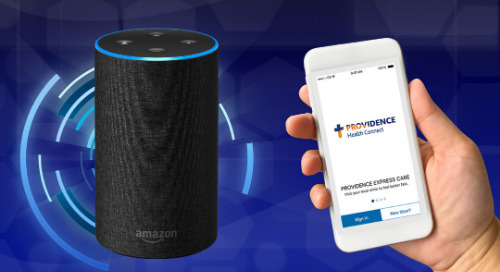 And, you can find a Providence provider here.